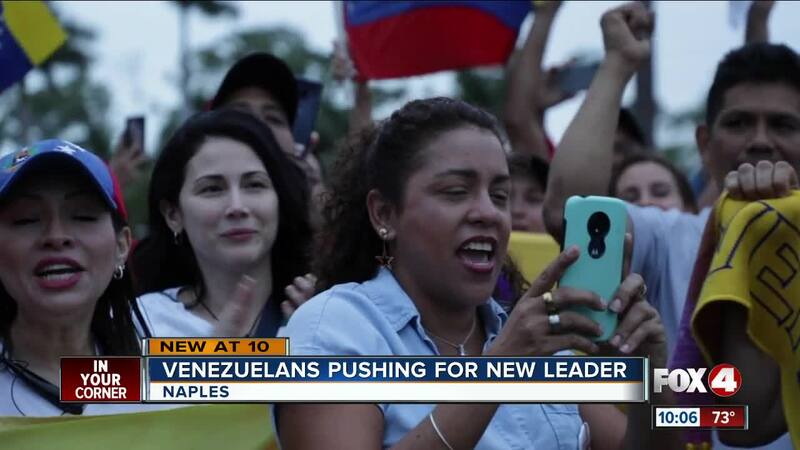 NAPLES, Florida — Venezuelans in Southwest Florida gathered at the Pelican Church in Naples today to celebrate what is known as “Libertad”, the day of freedom since 1958 when the country first escaped dictatorship. This is after thousands of Venezuelans marched the streets in Venezuela to call for the leader of the country, Nicolás Maduro, to step down. People all over the world showed their support for the Venezuelans. President Trump and U.S. Senator Marco Rubio even voiced their support. Trump released a statement officially declaring Juan Guaidó, the leader of the National Assembly, as the new legitimate president of Venezuela. “All the Venezuelans went out because we was in repression and we was looking for the freedom. And like today — we got the freedom,” Africa Valdez said, an activist at the march. Oswaldo Russian, an activist who works for VenAmerica, a nonprofit organization, says they’ve been working with other organizations to start creating a plan for Venezuela once Moduro’s regime is over. “Not only we’re happy - but we’re ready,” Russian said. Until the transition phase is over, Venezuelans everywhere are celebrating a step in the right direction. “The 23rd of January is a day to celebrate the restoration of democracy,” Julio Daza said, another activist at the event.